Sprinkle chicken with salt. In 12-inch skillet, heat oil over medium-high heat. Cook chicken in oil about 4 minutes, turning once, until brown. 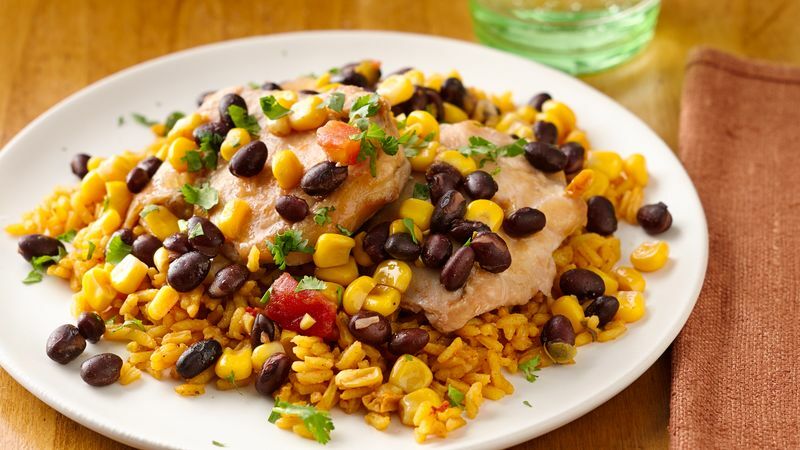 In 3 1/2- to 5-quart slow cooker, mix salsa, beans and corn. Top with chicken. Cover and cook on low heat setting 7 to 9 hours or until juice of chicken is clear when center of thickest part is cut (180°F). Sprinkle chicken thighs and vegetable mixture with cilantro. Serve the chicken with extra salsa or other condiments, such as sour cream or guacamole, then sprinkle with cilantro.